After the tour, we were ready for a slower paced day and our own schedule. Also, Dan was beginning to show signs of a cold. 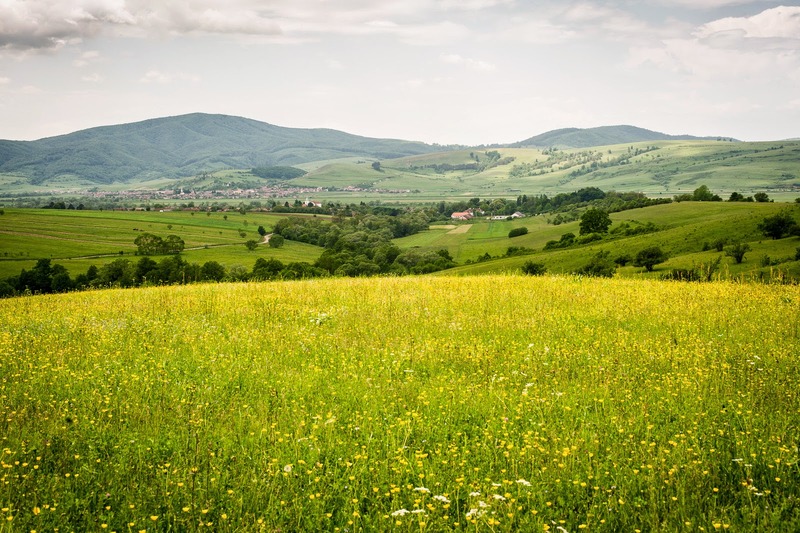 Back when we were planning our vacation, we planned to visit the Maramureş region of Romania after the Transylvania tour, but we found Transylvania so lovely we decided to see more of it. We drove to Miklósvár Village. 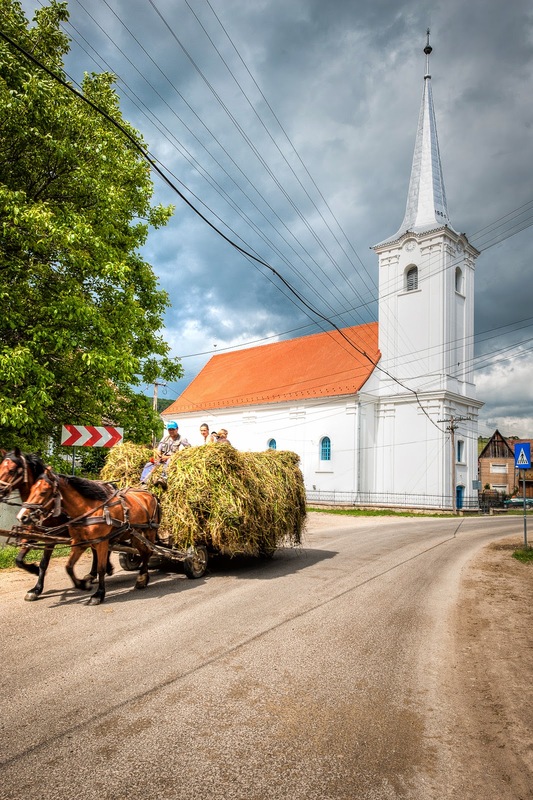 Miklósvár is a Szekler village which means it was settled by and still occupied by Hungarians. 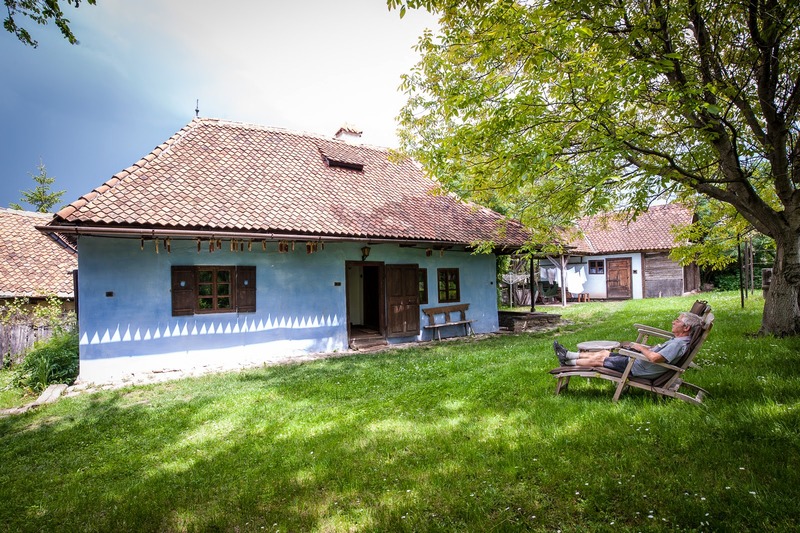 Miklósvár is the oldest documented settlement of Szeklerland dating back to the 13th century. Today, about 200 families live in the village. The rural pension we stayed at, a "heritage accommodation," is beautifully restored with period furnishings. 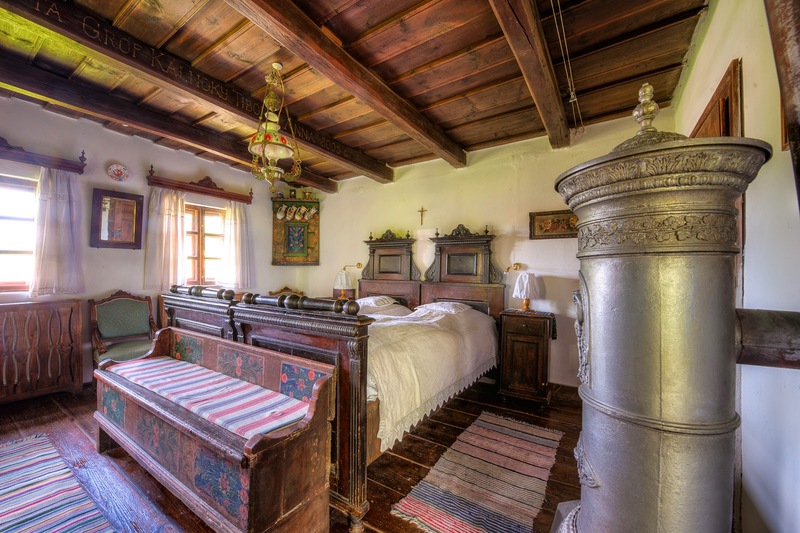 With a nod to its Transylvania location, there is a cross above the bed and an amulet of garlic above the doorway. 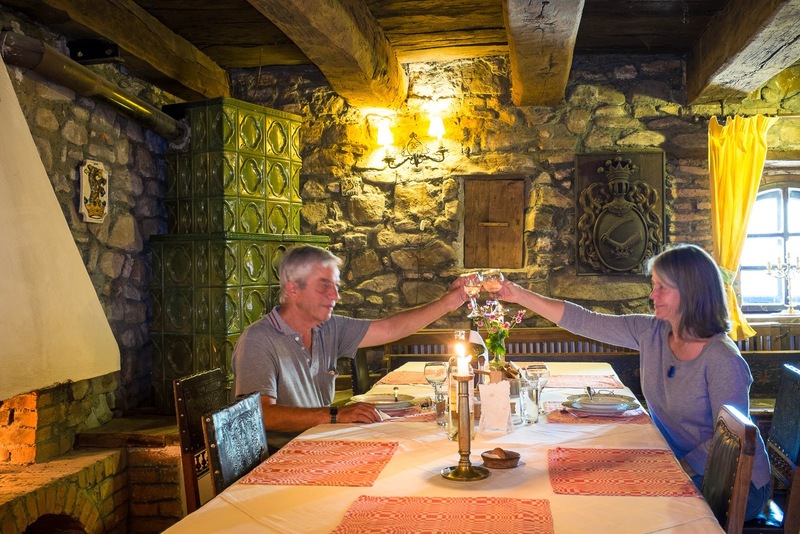 We were the only guests on our first night at Miklósvár. Dinner was served for us in the wine cellar in the main house. 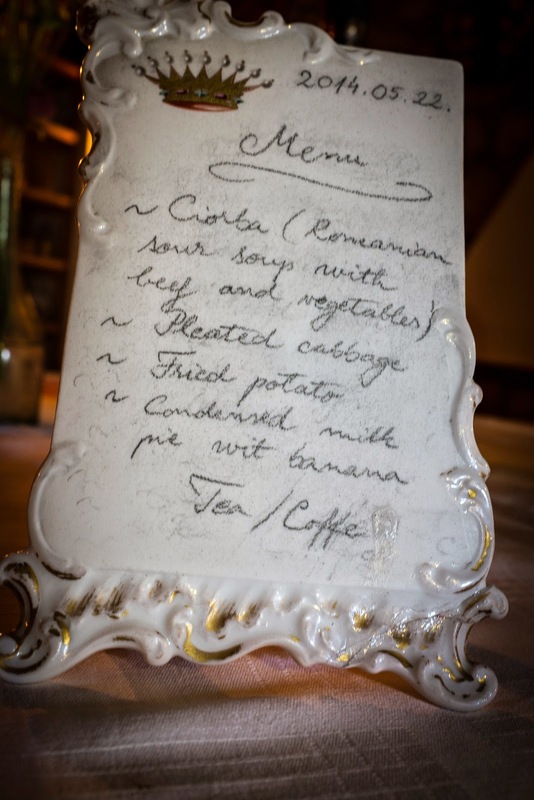 The menu included locally produced meats and vegetables prepared with either Romanian or Hungarian recipes. Lunch and dinner were accompanied by Romanian wines. We felt quite pampered. The guesthouse owner (whom we did not meet), Count Kalnoky, can trace his lineage back to the 13th century. 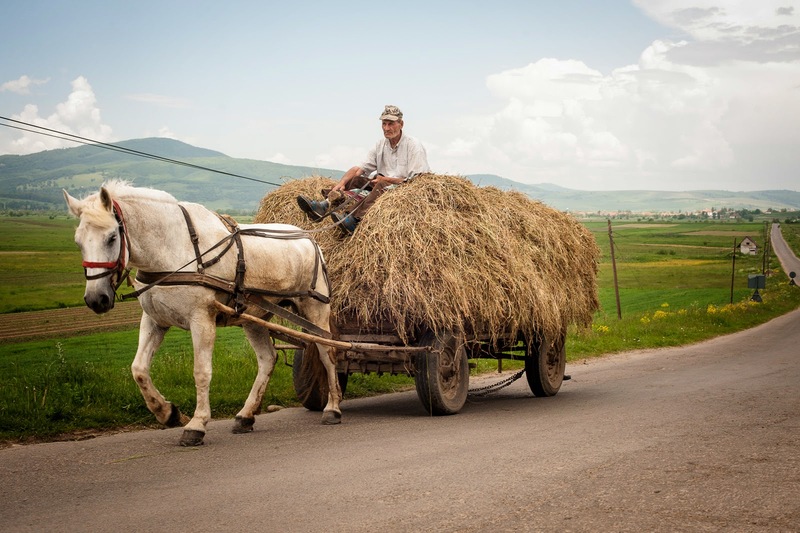 When Romania became communist, his father and other noblemen fled abandoning their properties. After the 1989 revolution, the next Count Kalnoky returned to Romania to reclaim the family's property. 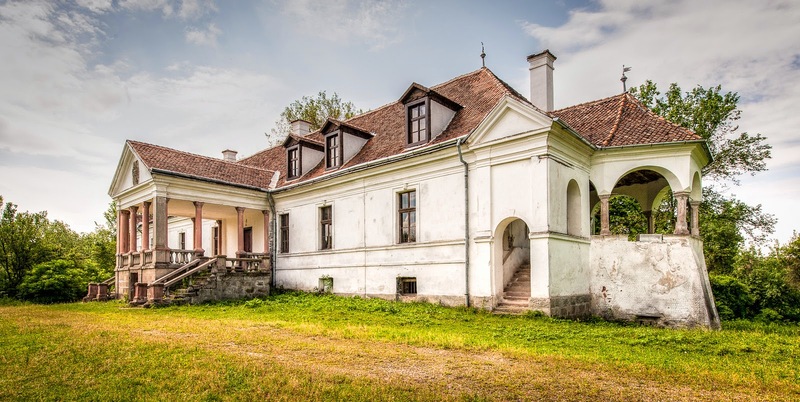 He was able to reclaim all his properties except the nearby hunting lodge called Kalnoky's Castle. The lodge dates back to the 1500s. Just before his father fled Romania ahead of the communists, he lost the castle in a gambling bet. Although the nobel man who won the lodge has said it should be given back to the Kolnokys, the town council still retains ownership. It is badly in need of renovation, but one of the rooms in the lodge has been made available for overnight guests. The Kalnoky hunting lodge and an ancestor. 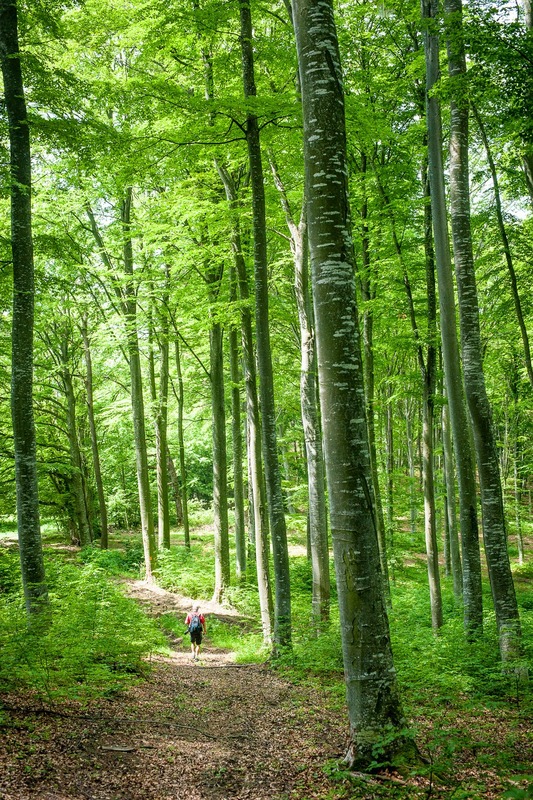 We did some hiking through the pastures and into the woods near Miklósvár. The fields were full of wildflowers. Every Transylvanian town we have been in has storks in residence. 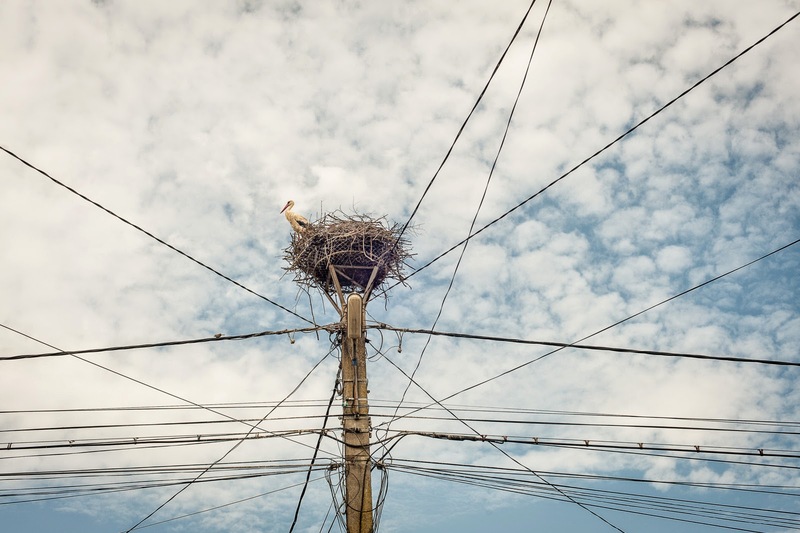 Wire frames have been placed on top of poles to accommodate the stork nests. Storks are believed to be lucky and bring good things to the town. Bill and Hillary Clinton stopped to get gasoline (petrol) in their car. Bill pointed at the attendant and asked Hillary, "What do you think your life would have been like if you had married a gas station attendant?" Hillary responded, "If I had married him, he would have been the president." 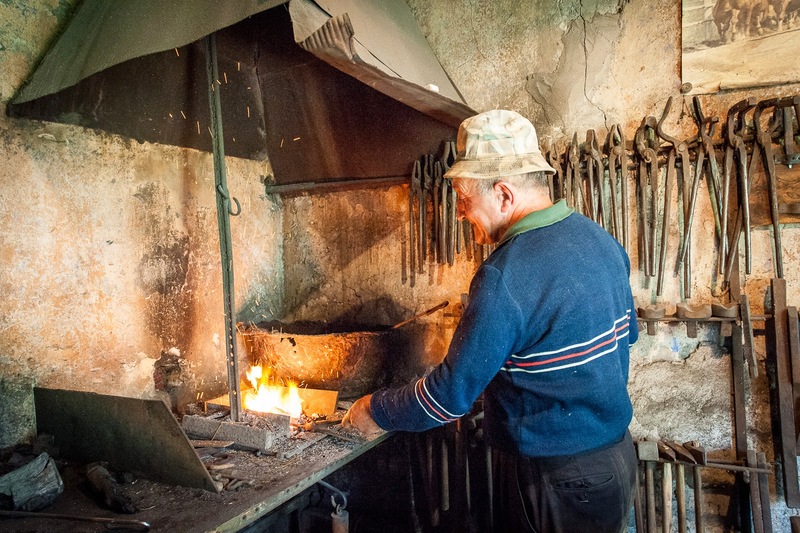 On our last day, we stopped in to see Miklósvár's blacksmith, Barobaş Gyuri, at work. 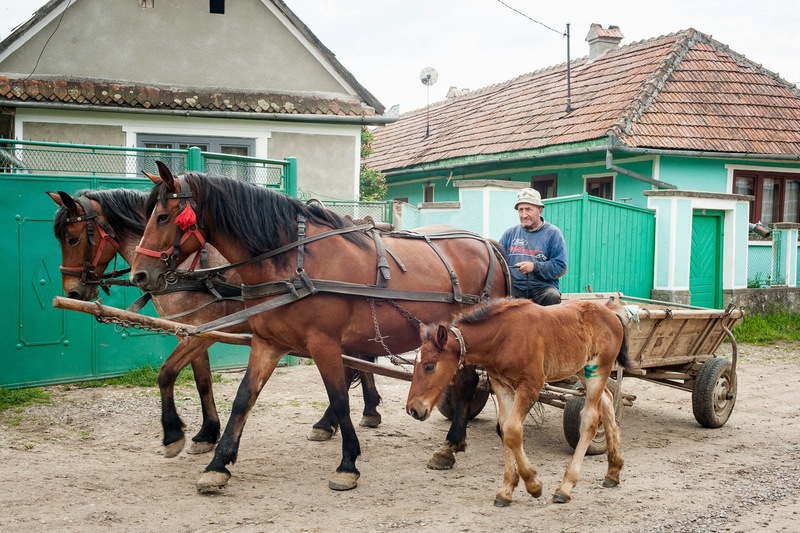 Dan and I visited other disappearing traditional crafts in the area around Miklósvár. 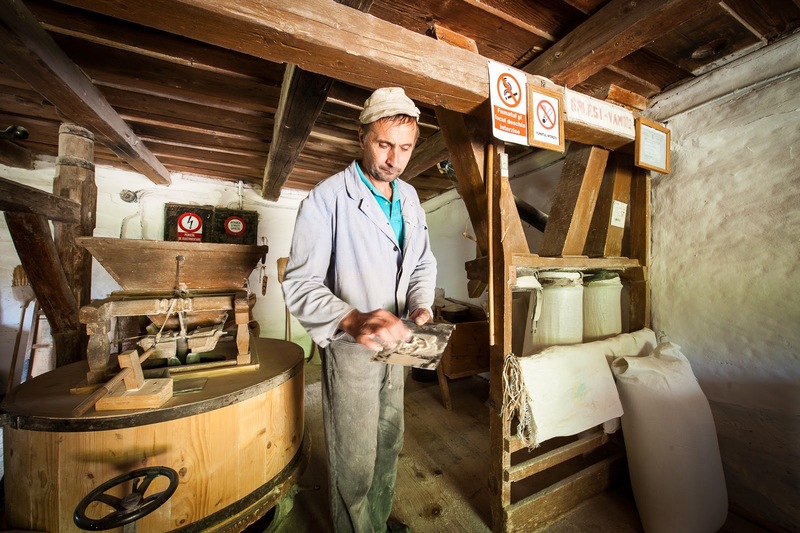 In the village of Kisbacon we visited a water mill where grain is ground for animals and wheat is finely ground into flour. 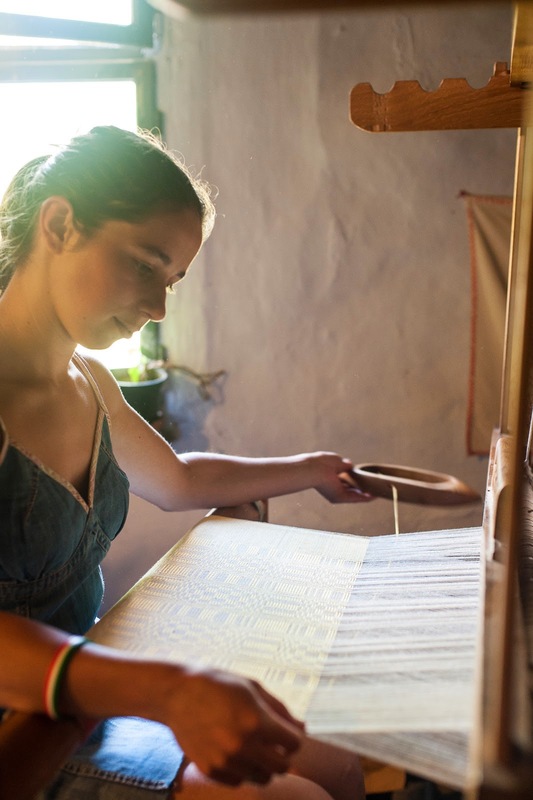 The aged mill owner also weaves and has passed on this skill to her son and granddaughter Biborka (Scarlet). In Vârghiş (another Szekler village), we visited a lime kiln. Making lime is back-breaking work. 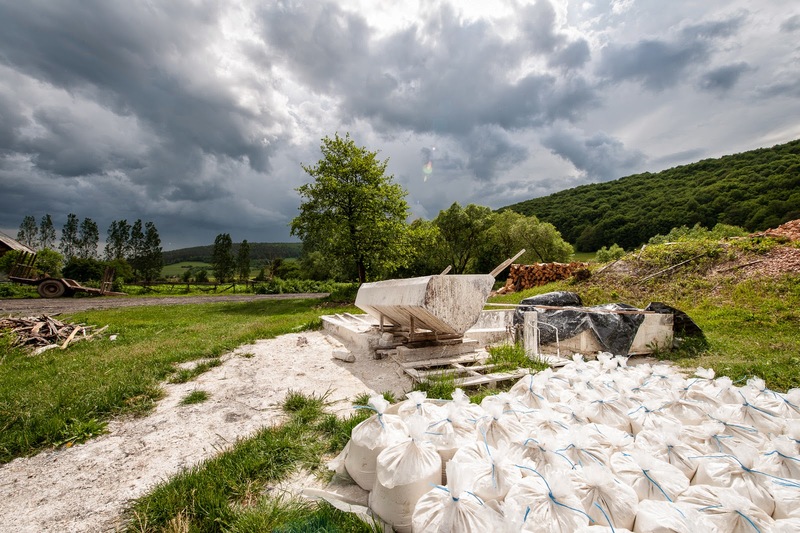 It takes 5 kilos of limestone to make 1 kilo of lime. Lime is used as a whitewash. The limestone is baked in a kiln for 2 days and cooled for several more. The resulting product is crushed and strained and water is added. This is bagged up into 5 kilo amounts that sell for about 4 Euros each. 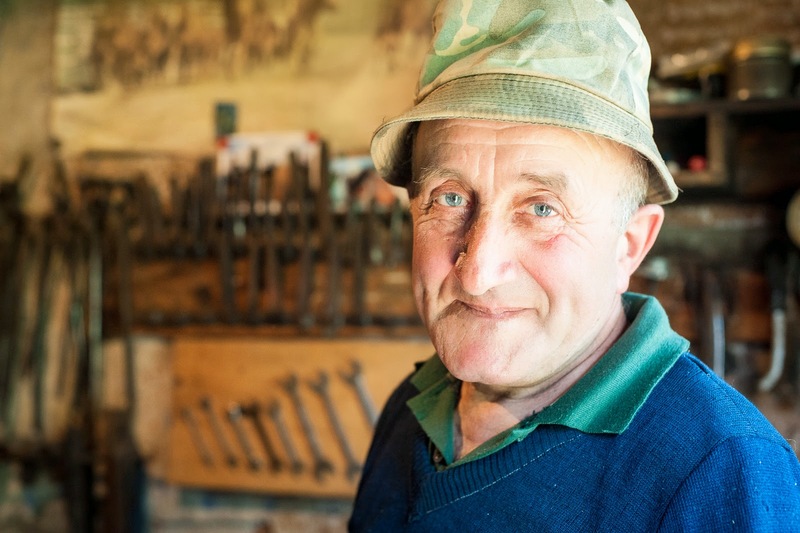 In the center of Vârghiş we visited a woodcarver who can trace his family back 15 generations. 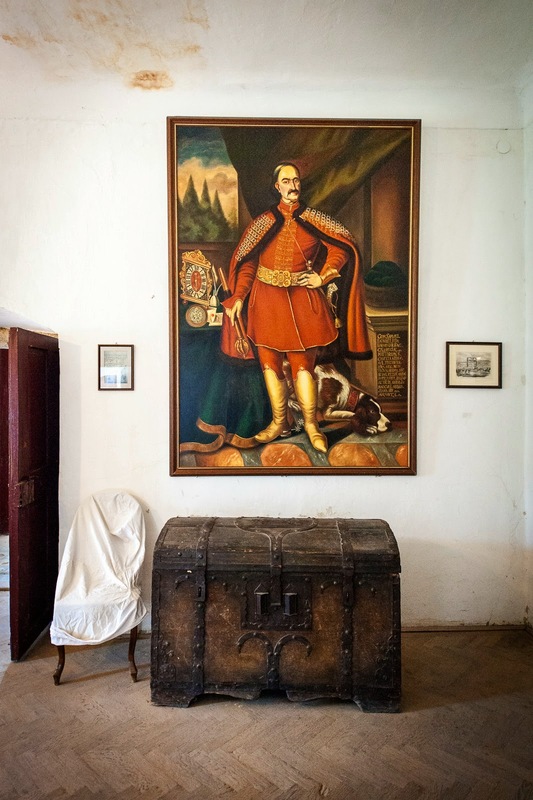 Two brothers came to Vârghiş over 400 years ago to do restoration work on a castle that had been burned. 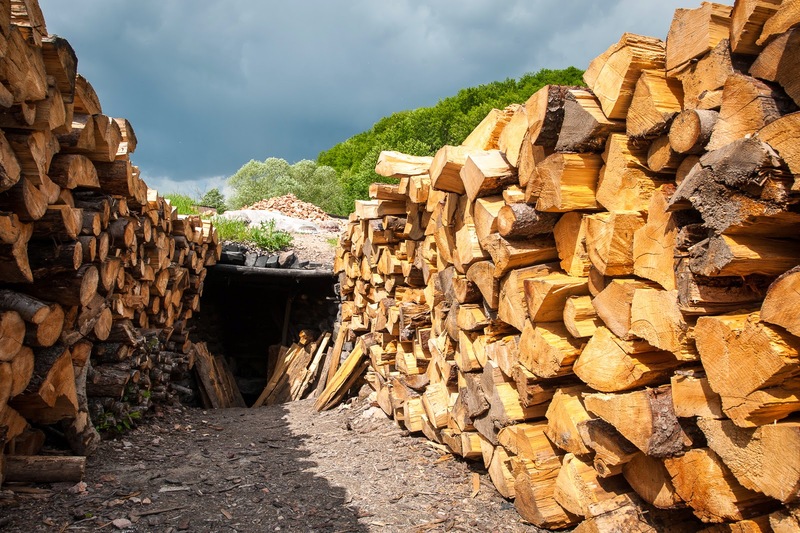 Since that time, someone in the Şutú family has become a woodcarver. 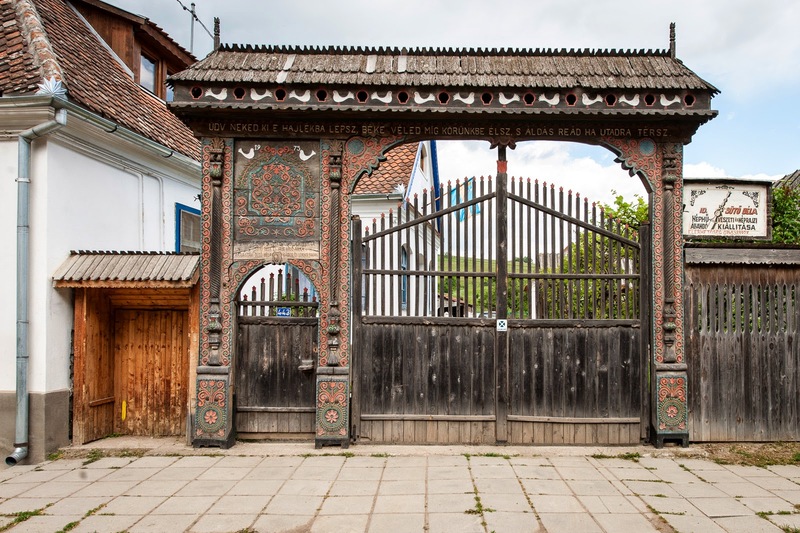 The front gate was carved in the 1960s to commemorate the 400 year anniversary of the family in Vârghiş. 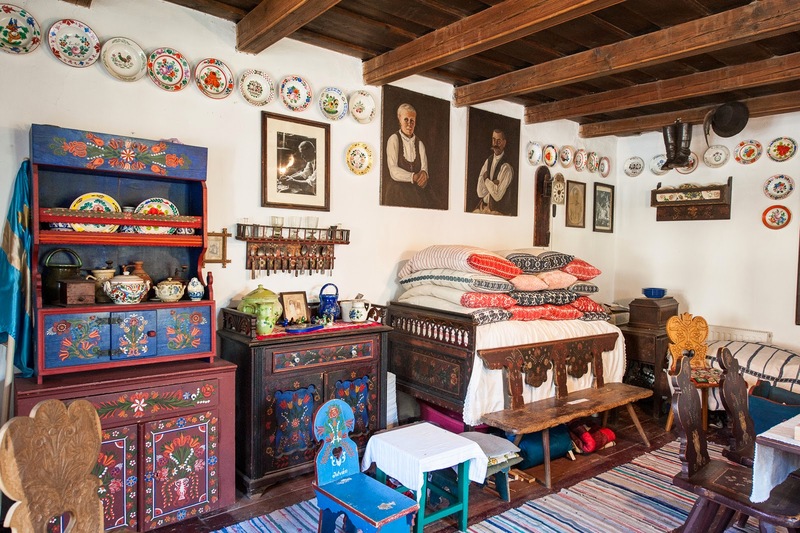 The front room of the woodcarver's house is filled with beautiful pieces made by him and by his ancestors. The bed piled with pillows is a way of showing guests the family's status. The more pillows piled on top, the higher the status. The slab of marble used by the many generations to grind pigment for paint is in this room. The family does not use the room it is only to receive guests, and this is where the woodcarver paints. 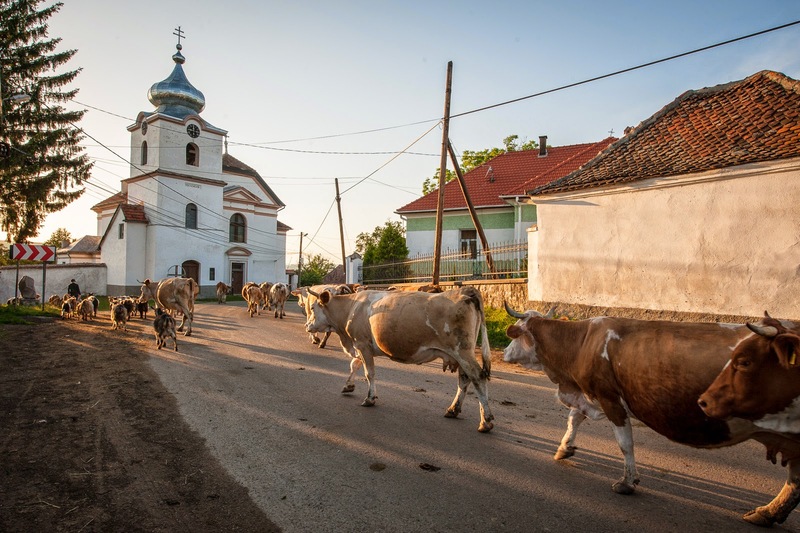 In Miklósvár you can relax, hike, ride horses, and at 8:00 pm, watch the cows come home as does the rest of the village. The shepherd job was posted and the applicants were interviewed by the villagers. The women in the village take turns in fixing meals for the shepherd. Every morning about 6:30 am, he walks through the village to gather the livestock and every evening at 8:00 pm he returns with the livestock that seem to know to which house they are supposed to return. Then, it is time for the owner of the animal to take over. That's what "party until the cows come home" means.